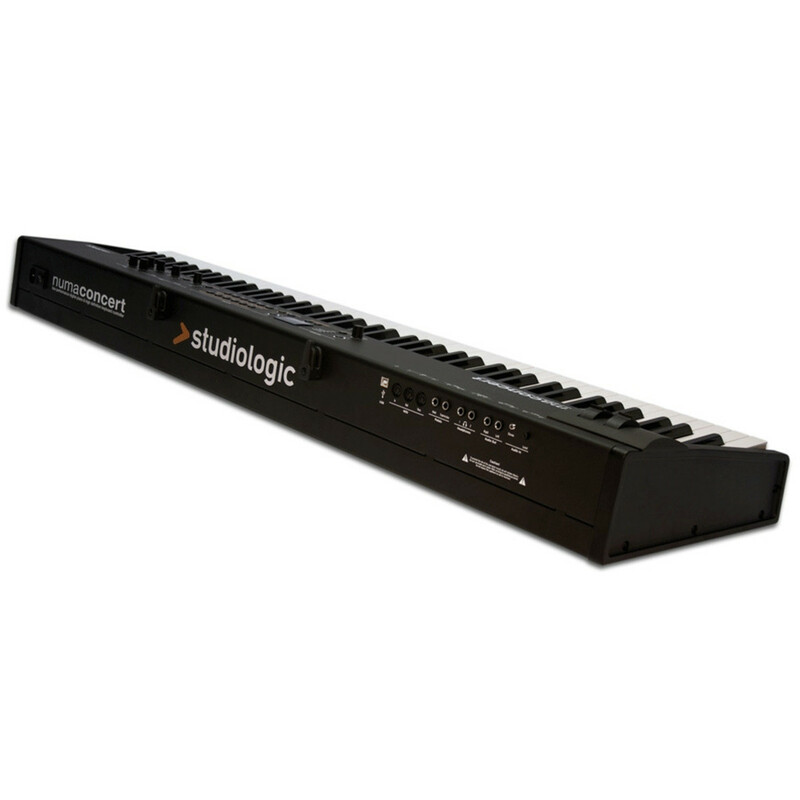 The Studiologic Numa Concert Stage Piano is a professional standard digital piano that can be used both as a high performance live piano and full size MIDI controller keyboard. 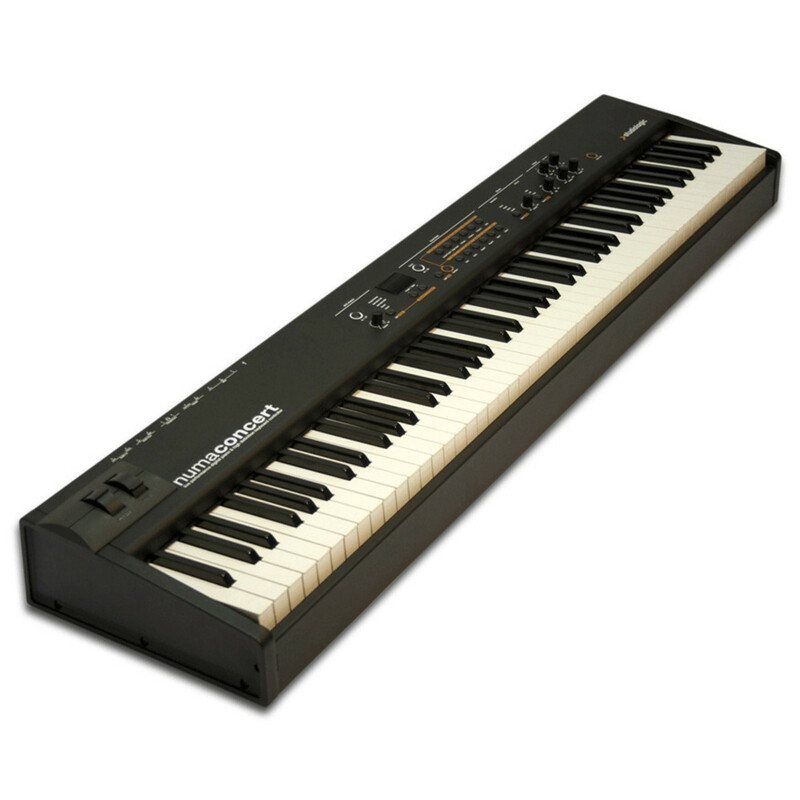 Featuring 88 graded hammer action wooden keys with ivory style surface, 12 incredible sounding selectable instruments with up to 128 voice possibilities, midi and usb connections, on board modulation effects such as chorus, phase and reverb as well as bass and treble equalization functions the Studiologic Numa Concert Stage Piano is an ideal choice for serious recording and preforming piano players. 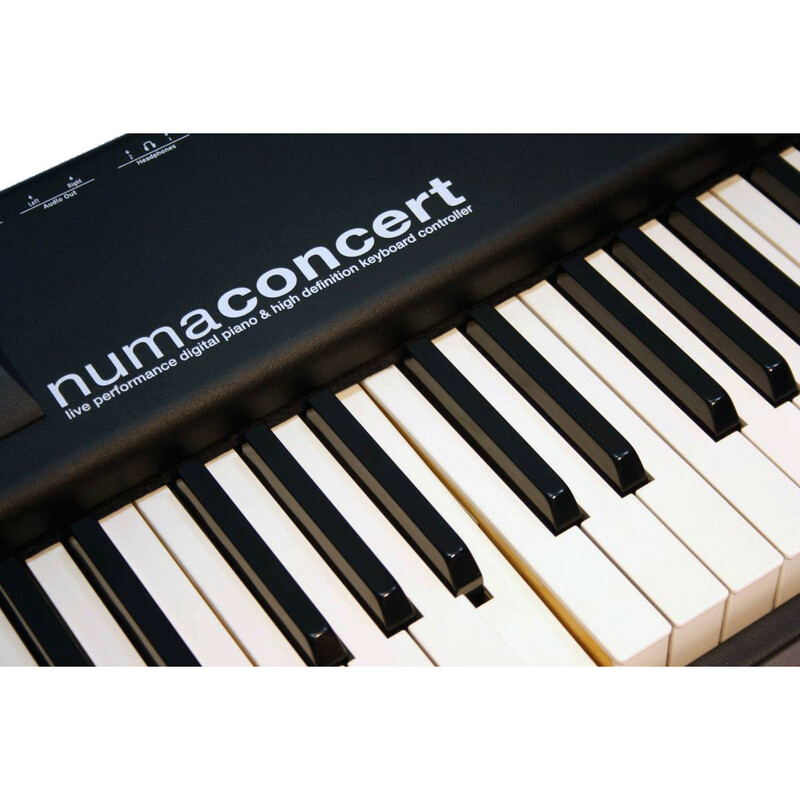 Utilizing expertly and carefully recorded instrument sounds the Numa Concert Stage Piano provides extremely high quality studio and stage ready tones referenced from top of the line pianos favoured by professional concert players and captured at a range of dynamics with 5 close and surround studio microphones to create realistic, versatile and quick response tone. 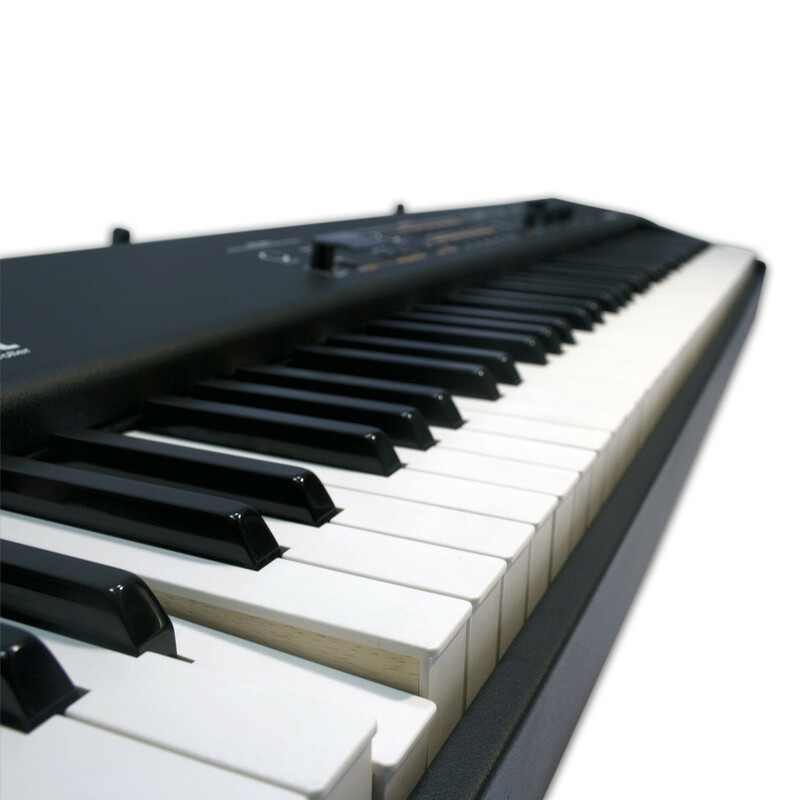 With 88 solid wood white keys each comprised of 3 response contacts per key and high resolution velocity response system as well as a classic ivory touch surface for smooth playing transitions from acoustic concert painos to the Numa Concert Stage Piano which provides an extremely sleek and dynamic playability. 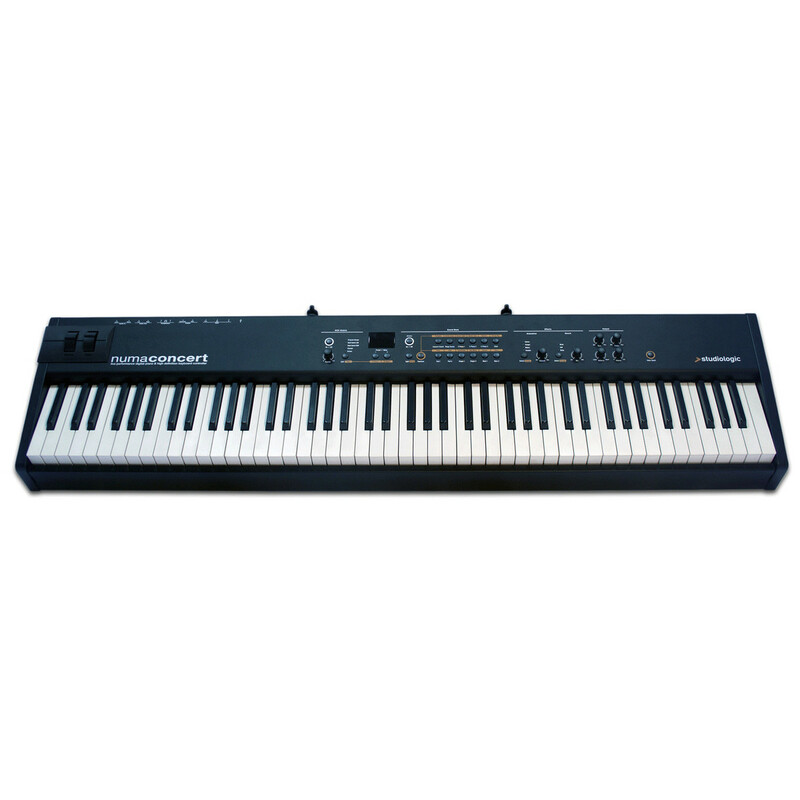 The new piano sounds are further made very natural and realistic by the incorporation of a strings resonance system. 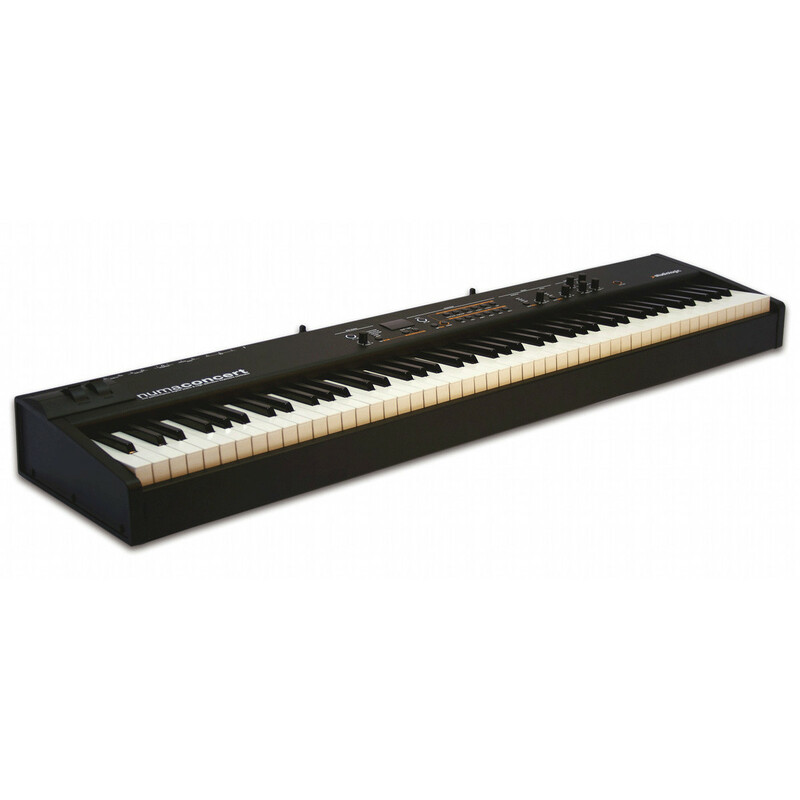 This model reproduces the effect created in acoustic pianos when the damper pedal is pressed and all dampers are lifted from the strings, that are free to resonate and create a very typical reverberation. 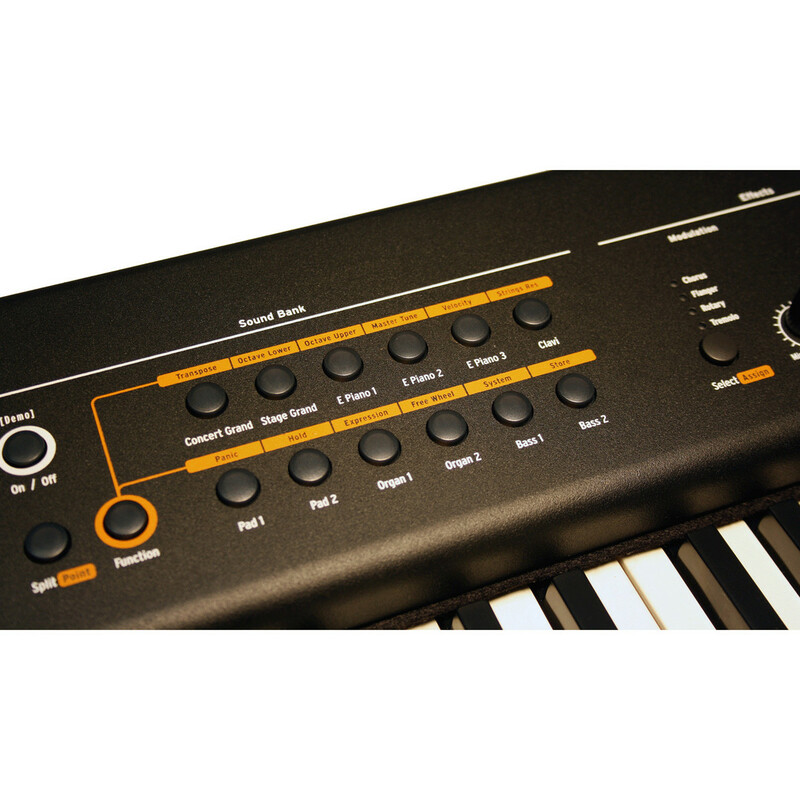 This post-processing has been developed by the Studiologic Lab team as a total physical model (not as a simple sampling) and implemented with innovative technical improvements. Sympathetic resonance in acoustic pianos is when any played key lifts the damper from the related strings that are free to resonate with the corresponding harmonics of any other note played later. 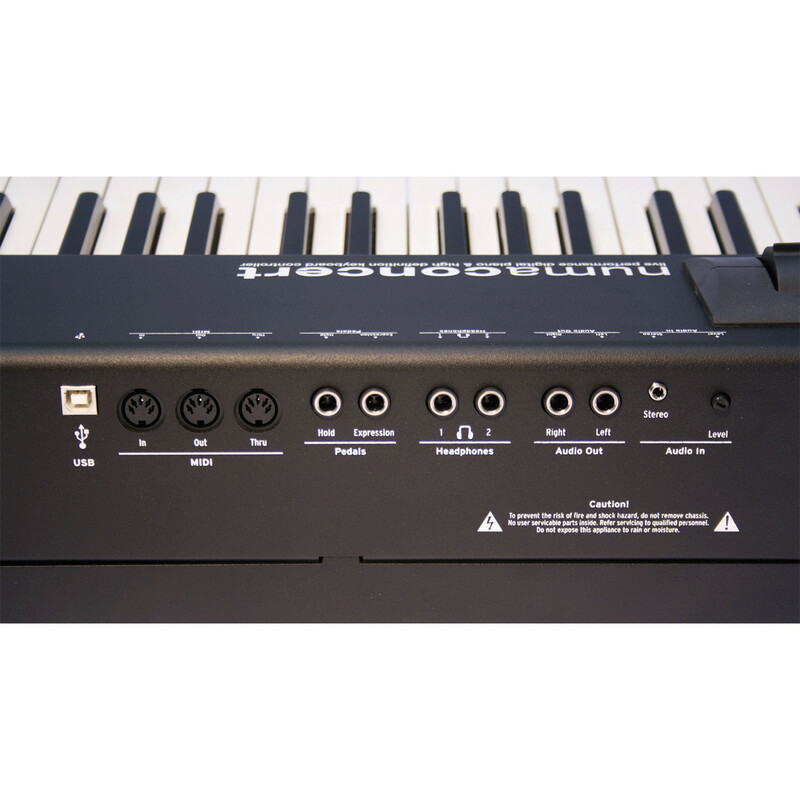 The Numa Concert physical modelling also reproduces this important property of the acoustic piano sound. 1300mm x 310mm x 130mm / 51.2" x 12.21" x 5.12"